This section of gravel road has a poorly formed gravel surface and poor drainage. The surface becomes slippery and potholed or corrugated depending on weather conditions and is dangerous to the travelling public. 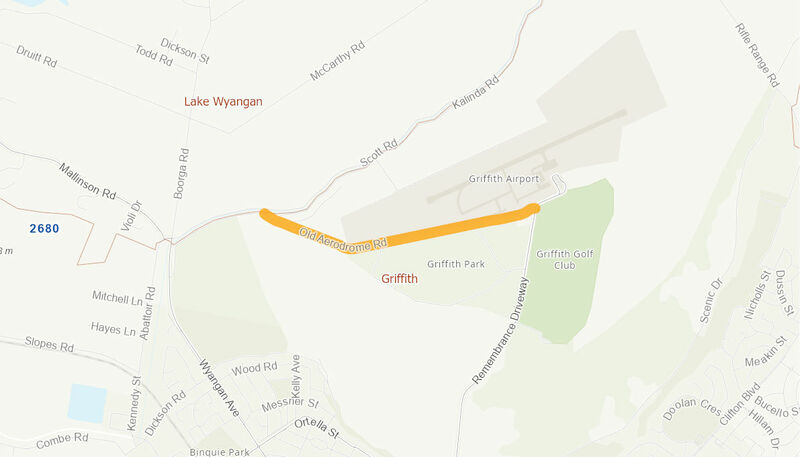 This road links the outer northern residential areas of Griffith to the Aerodrome, Golf Club and East Griffith. Some land acquisition is required before Old Aerodrome Road is to be constructed and sealed to a width of 7.0m and a length 1.65km with associated drainage works. Construction is planned over a longer period to suit weather conditions and to achieve optimum quality of construction and sealing.